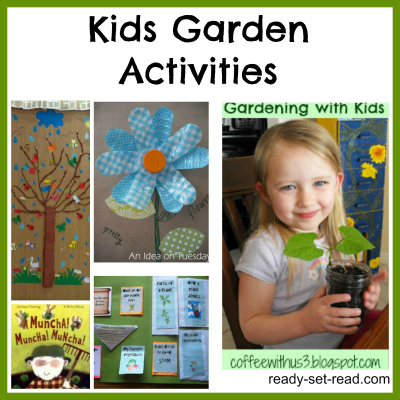 It's Spring here and the weather is finally warming up enough to enjoy some kids garden activities. 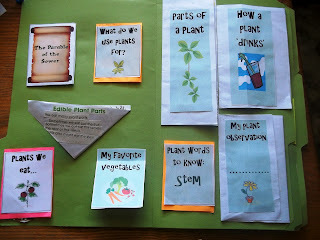 I love to garden with my kids and I was so happy to see many great ideas for kids garden activities linked to the Mom's Library last week. Each week, I co-host Mom's Library along with True Aim. This week I am featuring some of my favorite garden posts from last week. Check out the featured posts and then scroll down to link up your posts to Mom's Library. Mom's library is open to all types of posts the other mom's would enjoy reading. You can find activities for kids, crafts, recipes, devotionals, and more. (note: This post is written in Romanian but google chrome offered to translate it for me-- if you can't translate, the pictures are still wonderful). 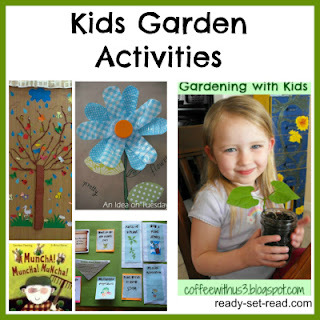 For more Kids Garden Activities and garden crafts, check out my Gardening with Kids Pinterest Board! Everyone is welcome to link up to Mom's Library this week. Any theme is welcome-- not just gardening, although, I'd love to add some of your gardening ideas to my Pinterest board. Thank you for sharing our spring nature table! Thank you so much for featuring our post! We love your link up! Thanks for linking up to Mom's Library and sharing your great ideas! 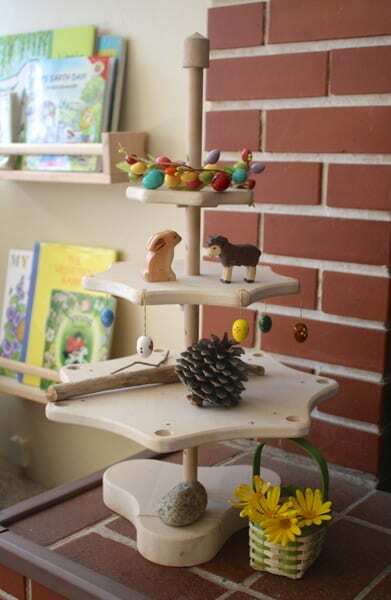 Thank you for sharing your spring nature table! I can't wait to make our own. What a fun link-up! Thank you for stopping by from UBp2013. I followed you on GFC and I enjoyed all of your Garden links. 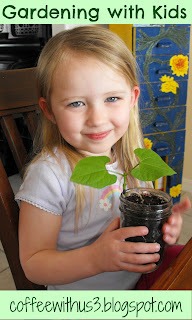 We are getting our (container) garden in right now so this is very timely. It's good to connect through UBP! I'd love if you'd stop by next week for the link up again. As a homeschooling blogger, I know you'd have a lot of great stuff to share! Thanks so much for featuring my recycled flowers. You put together a great list. Thanks for hosting. Thank you Niccola! I love your flowers and I think we are going to make some for Earth day!